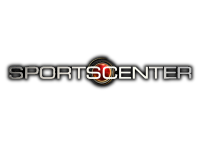 It is time once again to celebrate another 20 win season, 2 tournament wins, an area championship, and a 15 match unbeaten streak. 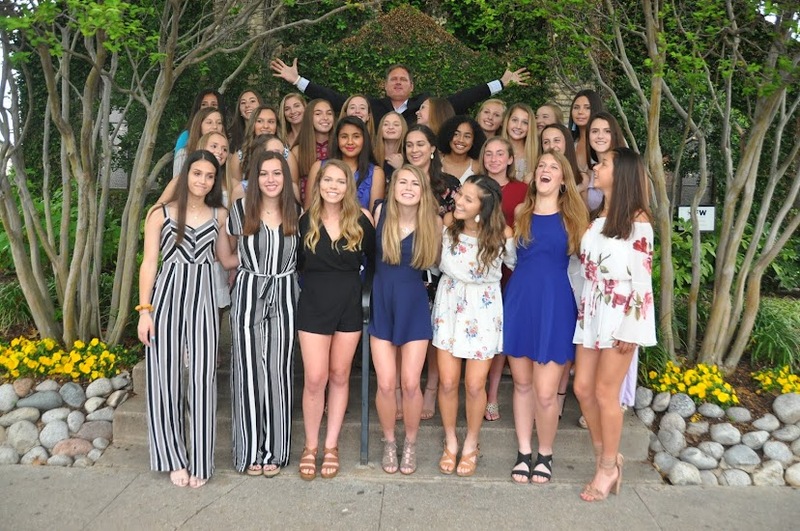 The 2018 Lady Vikings Soccer team set out this season to win a state championship and though they didn't accomplish that goal, they rattled off many goals throughout the season from traveling to California and winning the So Cal High School Classic presented by NIKE to a 19 round shootout championship, to hosting the nations top showcase where they played to a 1-1 draw to the number 6 team in the country. 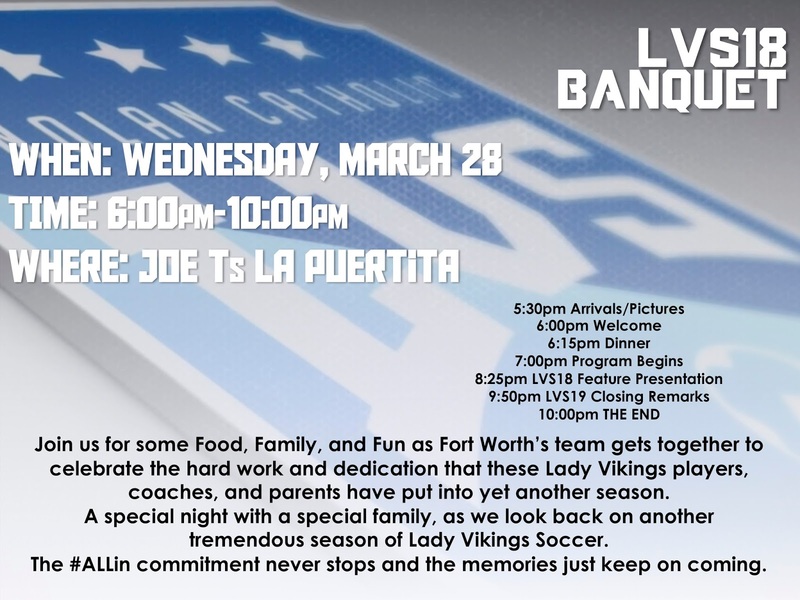 Joe T Garcias will again be the site for the end of the year banquet for the Nolan Catholic Women's Soccer Program. 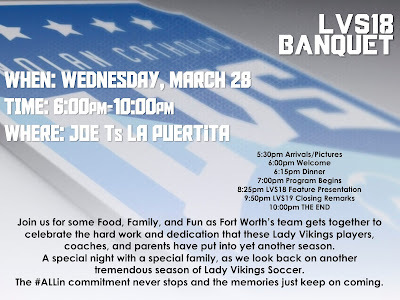 The iconic establishment in Fort Worth has hosted the Lady Vikings for 10 years and how fitting that Fort Worth's team is able to celebrate their success at such an amazing venue and stable in the community.